HIV is still one of the most devastating diseases in human history, with 36.7 million people being infected in 2015 – including 1.8 million children. But scientists are not slumbering, and for decades they have been working on ways to attack the disease. Now, we may be zooming in on a working vaccine, as human tests are set to start next year. Image credits: National Cancer Institute. Scientists from Western University have revealed details about SAV001, the first preventive HIV vaccine using a killed HIV virus. So far, human tests on 33 participants have already shown that the drug has no serious adverse effects, and now, researchers are preparing for Phase II clinical trials – in other words, they are trying it on a larger group of non-HIV people to assess its effectiveness in producing anti-HIV antibodies. The good news is that this process is usually quite fast – we could have the results of this trial by next fall. If that works, then this has a lot of potential in dealing with the AIDS epidemic – a vaccine could be a game changer. 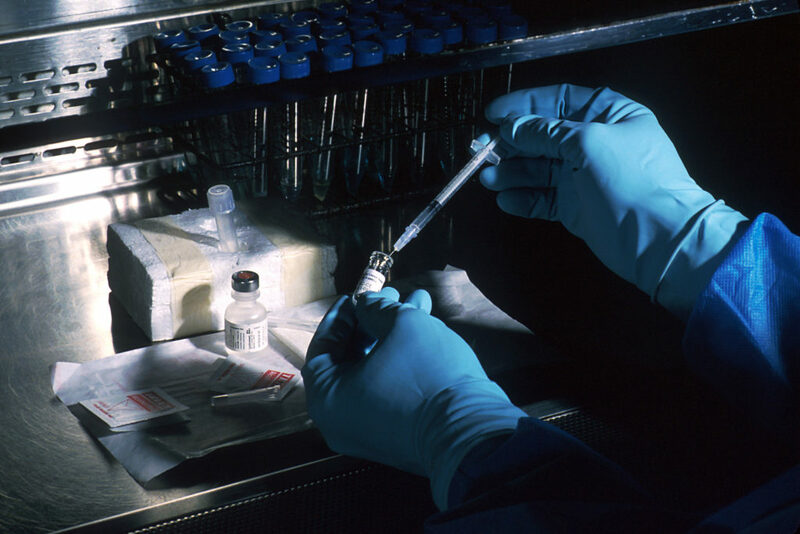 “If we can show that this vaccine is effective in preventing people from contracting HIV, we can stop the AIDS epidemic and that would be tremendous,” said project lead Chil-Yong Kang in a statement. The vaccine works by exposing the body to an inactive, “killed” virus. In contrast, live vaccines (which are nearly always attenuated vaccines) use pathogens that are still alive. This strategy has been successful against a number of other dangerous conditions, including polio, flu, and hepatitis A. The reason this hasn’t been done before is because the HIV virus is so difficult to inactivate – it just evolves quickly and bypasses our defenses. In order to bypass this problem, researchers swapped some of the HIV genes with genetic material taken from honeybees, rendering it harmless to humans. Still, don’t hold your breath just yet. We are still likely years away from this drug hitting the shelves because drugs like this require arduous testing to ensure that there are no negative consequences – even before the drug’s effectiveness is assessed. The results of that trial have been published this week in the journal Retrovirology, and we will likely see results next year.